What is interactive prayer walking? Interactive prayer walking is a prayer strategy in which personal interactions are sought out while actively praying for an area or location. 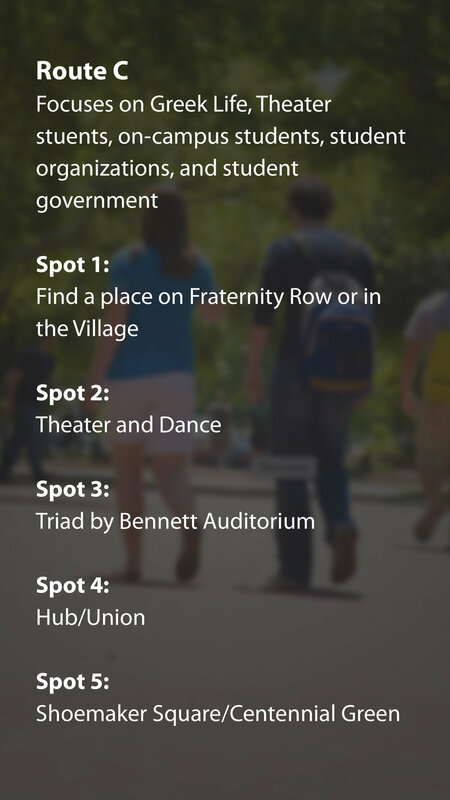 The goal is to pray for at least 5 minutes at 5 spots on campus. Then AT or IN BETWEEN the spots, look for someone to talk and pray with. 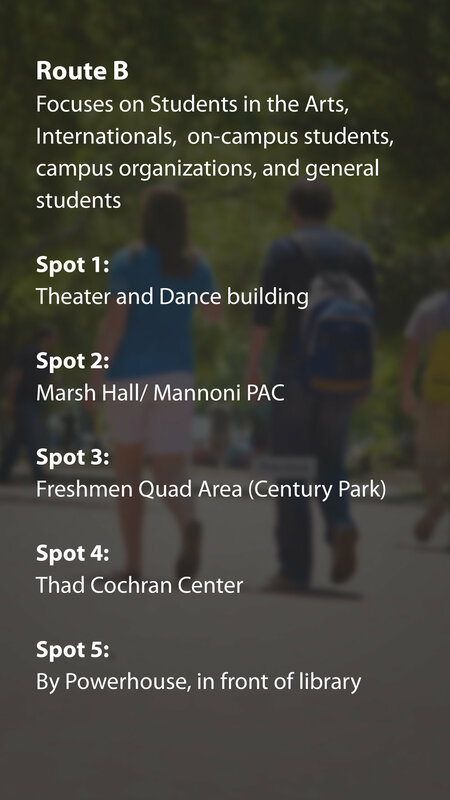 The spots on each route are either high traffic areas OR areas specific to particular student groups. As you pray, please consider how you can pray specifically for the people that pass through or fequent the area. Pray for someone to talk with as you move on. Look for divine encounters, talk to those you encounter. • Introduce yourself and explain what you’re doing. • Ask for prayer requests and pray for them on the spot. • Try to share the Gospel with those who are not saved. • Make notes of prayer requests for continued prayer.